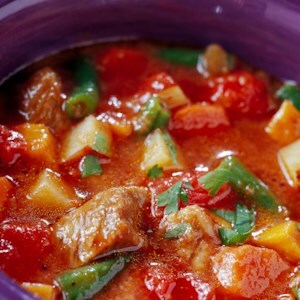 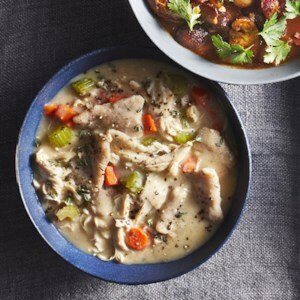 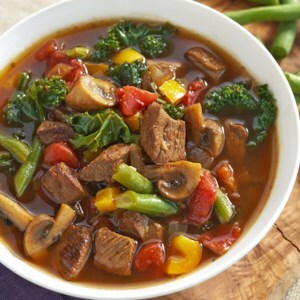 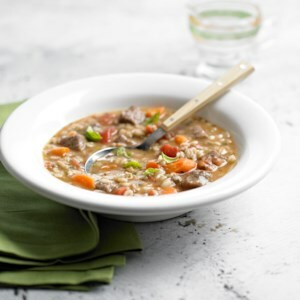 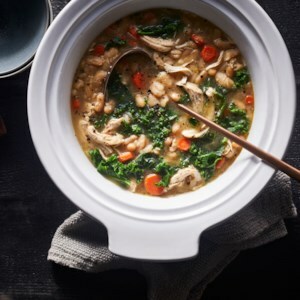 Find healthy, delicious winter soup and stew recipes, from the food and nutrition experts at EatingWell. 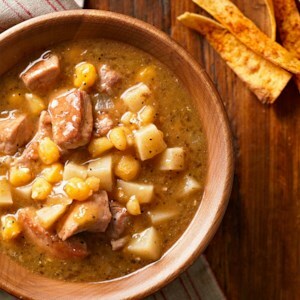 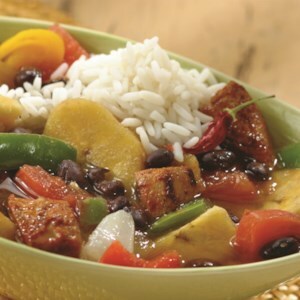 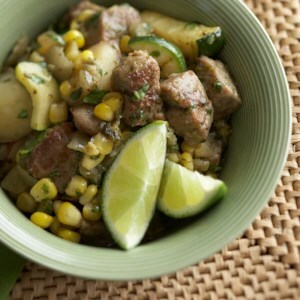 Here's a hearty meal-in-a-bowl for those who love pork. 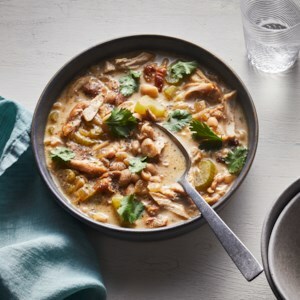 The recipe serves eight, so invite a crowd or serve as leftovers the next day, when the flavors have blended together even more. 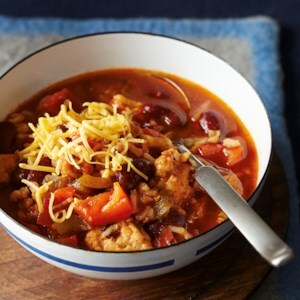 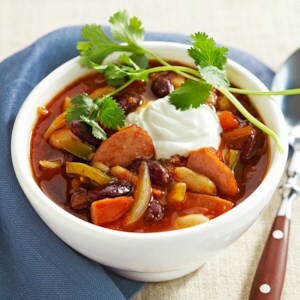 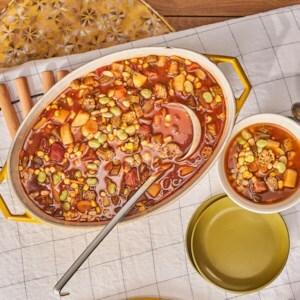 Bursting with barbecue flavor, this hearty chili recipe is loaded with red kidney beans, navy beans, vegetables, and smoked turkey sausage. 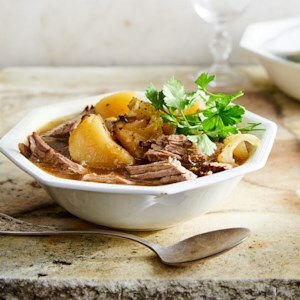 Serve it up as a delicious midday meal with some crusty bread and a side salad. 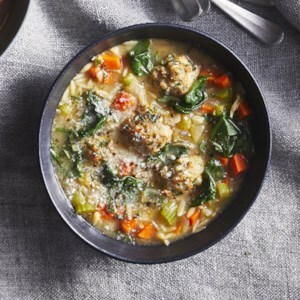 Homemade turkey meatballs are the star of this hearty soup. 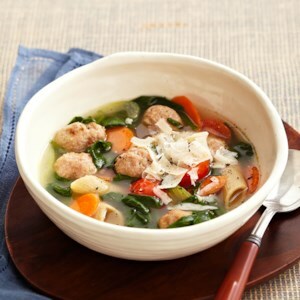 Full of spinach, macaroni and carrots and topped with grated Parmesan, this recipe takes just about an hour from start to finish. 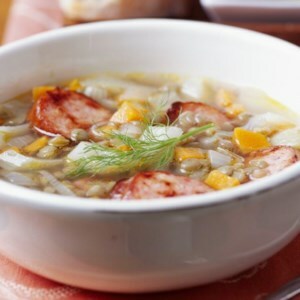 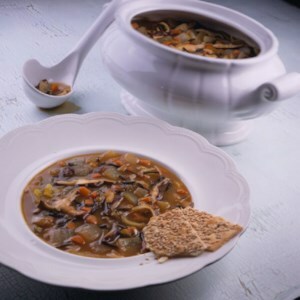 This hearty vegetarian soup recipe combines the natural sweetness of caramelized onions with the nutty flavor of wild rice. 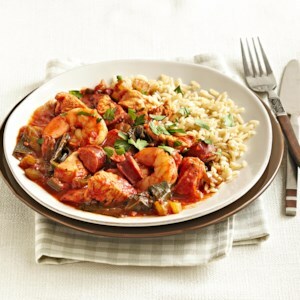 No ideas for dinner tonight? 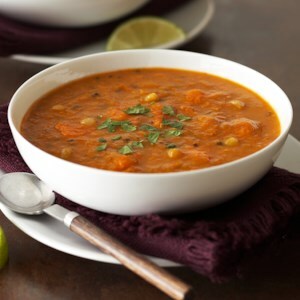 This slow-cooker lentil soup is easy to prepare in the morning and will simmer all day while you're at work. 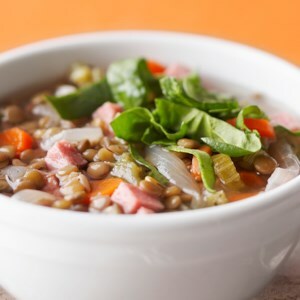 Full of aromatic vegetables, brown lentils, diced ham and fresh spinach, this hearty soup will be a real treat after a long day at the office.